Monash University of Southern Australia, J.D. Shane Henty Sutton is a retired partner at Sutton Sachs Meyer PLLC and currently Of Counsel to the firm. Mr. Sutton is a well-regarded, seasoned attorney with over twenty-five years of experience in the areas of real estate, corporate law and estate practice work. He is an over twenty year resident of Manhattan and the East End of Long Island, and has closed many New York City and Hamptons Transactions. Mr. Sutton has lectured extensively to industry professionals and the public on topics including real estate transactions, the issues of foreign buyers, EB-5 Visas, short sales, loan modifications and foreclosure defense. 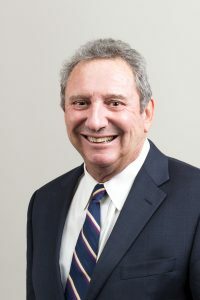 He has represented hundreds of clients in both New York and Australia, and is an attorney duly admitted to practice law in both jurisdictions. His Juris Doctorate is from Monash University of Southern Australia. By offering personal attention and regard for each client, Mr. Sutton has achieved a significant profile in the legal community of New York, and has his mission of providing excellent service and zealous representation while forming lasting client relationships.